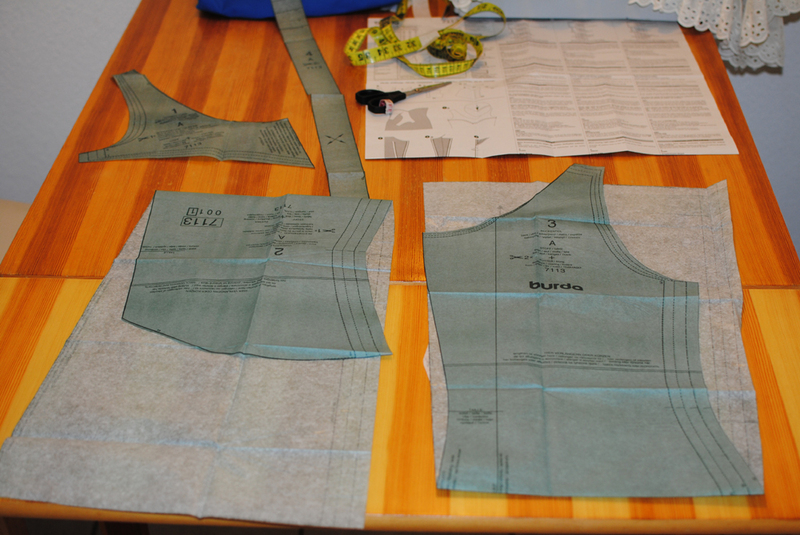 At the moment I am sewing a dress from a pattern for the very first time! I have sewed things in the past but never from a pattern. 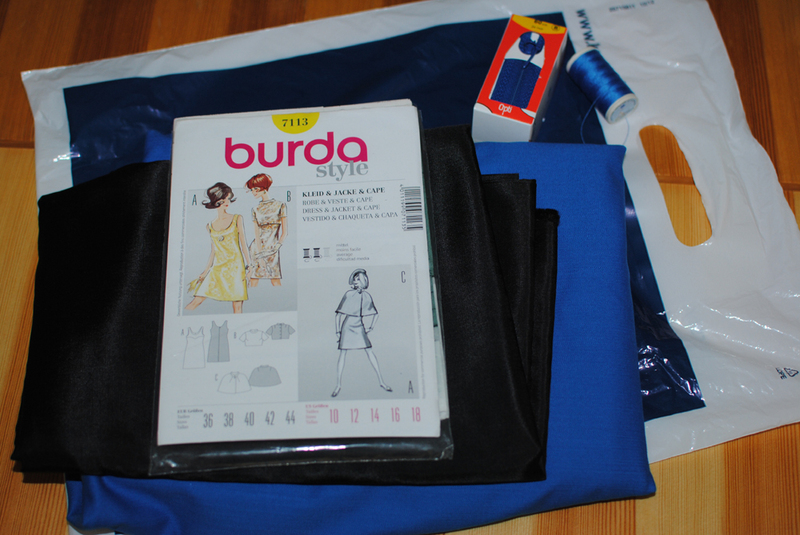 I'm attempting Burda pattern 7113 which is a re-release of a 60's pattern for a dress, cape and bolero (I'm just sewing the dress). I would have picked something a bit less involved than a fully lined dress however my Mum convinced me to go with this. She obviously has more faith in my abilities than me! Apparently Burda patterns are a bit different to others in that you have to add the seam and hem allowance (they aren't included in the paper pattern). This took me soooo long, it was a real pain. I'm also crocheting a bikini from a vintage German pattern. This is definitely diving into the deep end with my level of both German and crochet. It took me ages just to work out the diagram was in cm and not stitches... I do like a challenge though and this is definitely keeping me on my toes. I also have some amazing pieces for the shop and am waiting and hoping for some sunshine so I can take some decent photos. Wow you're going to have to teach me to sew when we're both back home! And crochet!